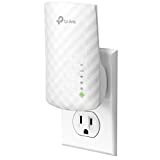 In most homes, by now, a WiFi connection cannot be missing, which allows all home devices to surf the Internet wirelessly. One of the problems that this technology has is the scope that, even if it has been improved over the years, is limited. 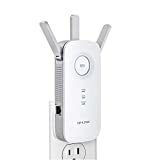 Fortunately, there are devices that can increase this range, the WiFi Range Extender. 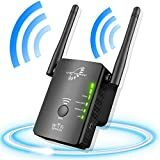 These devices, also called WiFi Repeaters, have the task of expanding the range of our wireless network, so as to reach every corner of our home or our office. 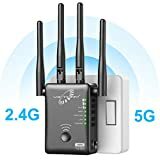 Which WiFi Range Extender to choose? We can say that this is a market characterized by many products, more or less all with the same functions and characteristics, of course the price varies. The connection speed is essential if you want to always have a fast WiFi network, even if now all the devices on the market support at least a 100 Mbps, which is the maximum connection speed at which most Italian homes arrive. 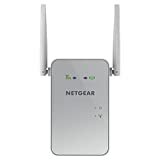 The other important feature is certainly the simultaneous dual-band, that supports both the 2.4 GHz band and the 5 GHz band, which is faster and is able to make the most of the band, especially if you have fiber at home and then a connection fast. 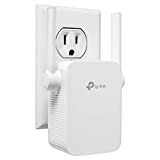 Another important element when buying a WiFi Range Extender could definitely be the WPS, which does not affect the connection speed, but it is very important for the fast connection of the device to your router. 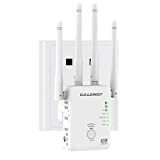 What are the other important features for a WiFi Range Extender? The main characteristics, ie those to be checked at the time of purchase, have already been listed. There may be other features that may be important to meet different needs. One of these is the signal strength indicator, which will allow you to position the repeater optimally, to make the most of your bandwidth. Even the presence of the Gigabit Ethernet port could be useful for certain uses, so as to connect equipment without WiFi and away from the router via LAN cable, such as smart TV, TV Box or decoder. Lastly, an On / Off button may also be useful, so you can turn the WiFi range extender on and off without having to unplug it every time. What are the best WiFi Range Extenders on the market? As already mentioned, these devices perform the same task upside down, so to decide which one to take you will have to see the most suitable for you, checking all the features listed above. 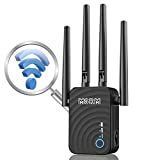 Below I leave you a list of the best WiFi Range Extenders on the market, so that you can compare them and choose the best.